Saturday 30 November the Royal Museum for Central Africa in Tervuren, “the last colonial museum in the world” quoting director Guido Gryseels, will be closing for three years, so only 3 months left to go enjoy it’s dated, but unique charm! More information about the € 66 million renovation here. For a video and the news item (in Dutch), click here. The good news is that the masterpieces will be travelling to New York (Metropolitan), Los Angeles (LACMA), Parijs (Musée Dapper), Florida and Atlanta. 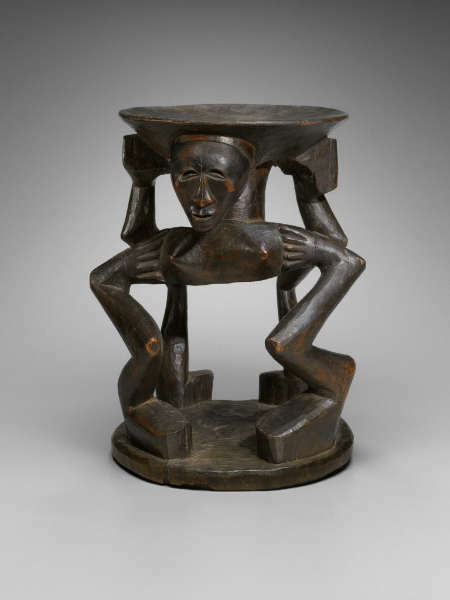 The Museum for African Art in NY is also listed, though its opening has been delayed repeatedly since it broke ground in 2007. The current targeted opening date, in 2015, still depends on the success of the capital campaign – they still need $ 60 million. In the spirit of my previous post, the Getty Museum in California earlier this month announced that 4,600 of their images are now free to use, modify, and publish for any purpose. Yet again, a US museum leads the way – though this time without any African art in its collection. In its discussion of open content, the most recent Horizon Report, Museum Edition stated that “it is now the mark—and social responsibility—of world-class institutions to develop and share free cultural and educational resources”. European museums, take note please. More information about Getty’s open content policy can be found here. 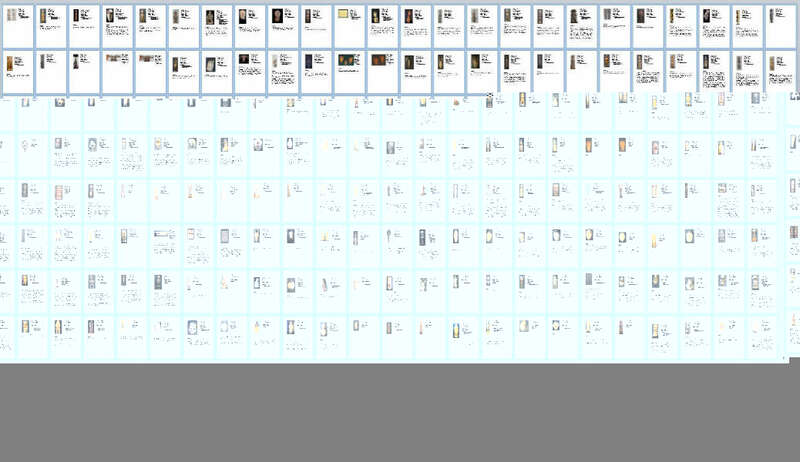 You can browse all available images here. Artworks gallop around the galleries and head out into the world in this short little video. 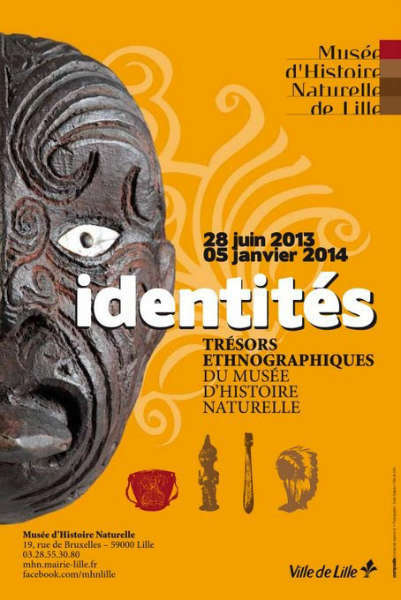 The Natural History Museum of Lille in France is currently showing a selection of 80 objects from their ethnographic collection (holding ca. 13,000 items). I visited the exhibition last week and I am still a bit ambivalent if it really was worth the long voyage. Let us say that I travelled six hours in total to spend 30 minutes in the museum – seeing everything two times ! 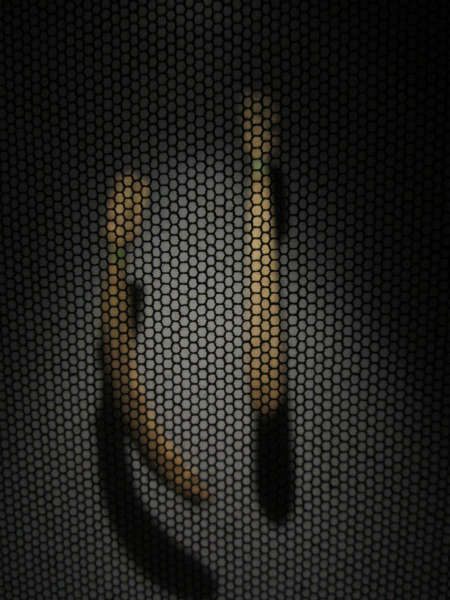 But in the end, multiple objects in the show did prove to be a good excuse for a day trip to Lille. If a label states ‘before 1850’, I do tend to get excited – see for example the rare Nguni container and the New Ireland mask below. The only big disappointment was the use of nets to shield the showcases off. I had never encountered such a presentation before and I must say it was a big visual distraction for the connaisseur that wanted to see the objects in closer detail. These lidded vessels are decorated with broad bands of deeply incised lines. Each is carved from a single block of wood. The robust virtuosity of these vessels (achieved in part through the patterns created by such ridges) is reinforced by their chunky proportions. Only some of the works in this genre, like this example are surrounded by exterior structures. But vessels of this kind are otherwise so consistent in style and execution that they may well have been produced by a single carver or workshop. 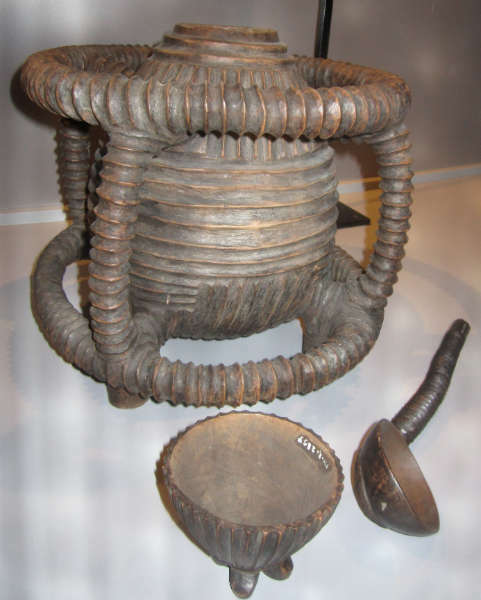 Since hardly anything is known about their history or possible functions, it is not even certain that they were produced for an indigenous African market. Indeed most (if not all) of them appear never to have been used as receptacles for liquids or cooked foods, suggesting that they may have been sold as virtuoso examples of African craftsmanship. An alternative but less probable explanation of their function is that they may have been commissioned by chiefs seeking to highlight their status through monumentally carved display objects. Unlike those owned by the heads of ordinary homesteads, the tall, slim milkpails commissioned by Zulu kings were generally lidded for fear that lightning might enter them. This tradition was probably linked to the belief that the king would never return as an ancestor of he drank milk thus affected. Storage vessels like this one have been rediscovered in Europea collections only over the past 50 years. Some have collection dates that go back before the 1850’s, but most appear to have arrived in Europe from the 1860’s onwards. Identical examples are recorded as having been on display at the Great Exhibition in London in 1862. Their shape is unlike any indigenously used vessels, except that they have rounded bottoms like indigenous post, necessitating the addition of three legs. The very finely engraved ridged or fluted interlaced patterns are similar to those found on snuff-boxes made by a number of different southern African groups. Because of this, it has been suggested that such vessels were used as storage jars for tobacco, but there is no field evidence which points to this as an accurate reflection of their function. A full photographic review of the exhibition can be found here (pictures by Luc Lefevbre). This entry was posted in Exhibtions and tagged Nguni on August 27, 2013 by admin. The July/August 2013 issue of Minerva (The International Review of Ancient Art & Archaeology) is featuring a very interesting article by David Coulson, the leading photographer of African Rock Art, discussing the threats it is facing. Coulson’s Trust for African Rock Art wishes to create greater global awareness of the importance and endangered state of African rock art. 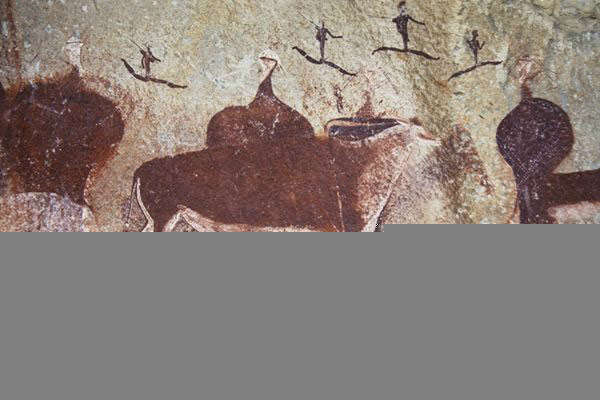 It records the rock art heritage of the African continent and makes this information accessible online. In 2014, TARA’s digital rock art archive will become accessible through the British Museum’s global online collections, but for now many images can be consulted here (more than 1000 images and well worth a visit). Unfortunately no references to the rock art of the Dogon can be found on the website (yet). 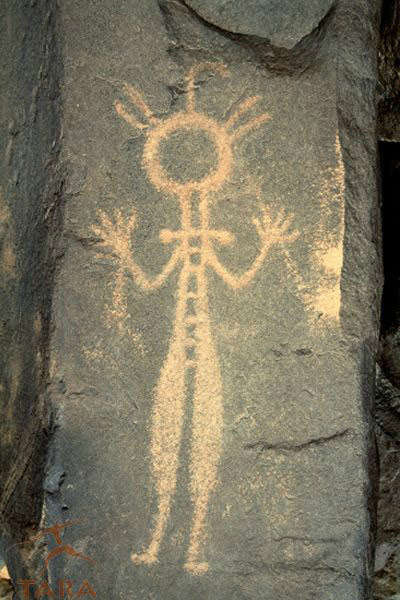 UPDATE: for Dogon rock art, check this album with fantastic pictures by Huib Blom. This entry was posted in News, Publications, Research on August 25, 2013 by admin. 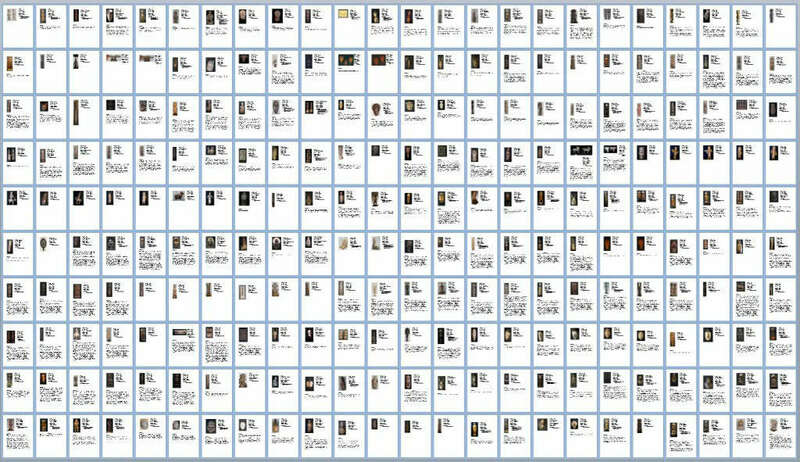 My latest research project, a 27 page long study of a Nsapo Nsapo atelier. 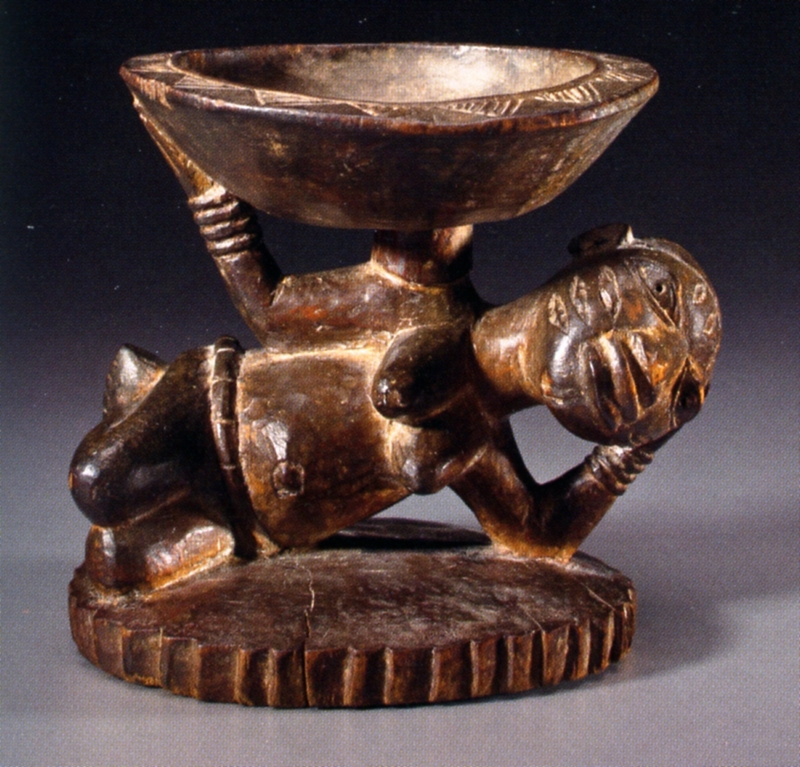 This mother-and-child figure orginates from the most profilic Nsapo Nsapo workshop known. The founder of this atelier lived in a mixed Songye-Luluwa region where he created his own unique style that borrowed features from both the Songye as the Luluwa. Together with the Nsapo Nsapo, this sculptor lived on the Matamba hill where he arrived in 1887 . After leaving their homeland, the Nsapo Nsapo were detached from their own traditions and came under new cultural influences. These were not only African, from the Lulua and Chokwe, but also European – with a mission and an army post in Luluabourg (now Kananga) only a couple of kilometer away. Freed from his old cultural context, our artist could give free rein to his imagination and accede to the demands of the market, both local for traditional use as colonial for the Belgians in Kananga. The following types of figures from this workshop are known: standing figures, seated mother-and-child figures, figures seated on a bench, musicians (more specifically drum players), figures smoking a pipe and squatting figures with the hands to the face. This diversity of subject is a rare characteristic for an artist in this region and proves how masterfully he handled the adze. Probably the more anecdotical figures were made for the Belgians. The Nsapo Nsapo left Matamba again by 1925; probably the sculptor of the figure under discussion here was already deceased at that time. Timmermans discovered that he orginated from a Katuambi group and that his family lived between Djibu and Lupaka after 1925. In the impossibility to discover his real name, Marc Felix labeled this artist with the pseudo-name “the master of the sitting maternities”; the mother-and-child figures being the most prominent in his corpus. 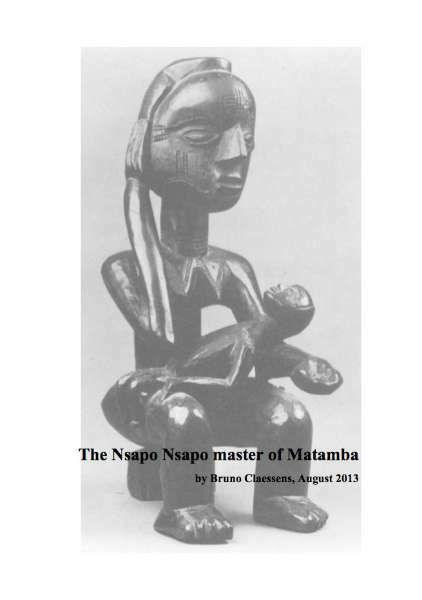 I would opt for the name “The Nsapo Nsapo master of Matamba”, in reference to the hill where he developed his style. The earliest documented figures from this workshop arrived in Belgium in October 1912 and were donated to the Royal Museum for Central Africa in Tervuren. They were collected by Emeri-Henri-Célestin Cambier (°1865 – †1943), who arrived in Luluabourg on 14 November 1889 and founded the Mikalaye mission that same year. The Museum Aan de Stroom in Antwerp owns 4 figures from this atelier (one maternity and three male figures); all of them were purchased from Henri Pareyn on 13 April 1920. This entry was posted in Research and tagged Nsapo Nsapo on August 18, 2013 by admin. Apologies for the radio silence on the blog these last weeks, I was occupied documenting a collection..
Time for some rest now..
A newly published book under the supervision of Sidney Littlefield Kasfir and Till Förster, African Art and Agency in the Workshop (Bloomington: Indiana University Press, 2013, 410 pp) presents fifteen essays by a variety of scholars that explore the importance of the workshop in relation to the creative agency of its members and its interactions with patrons. 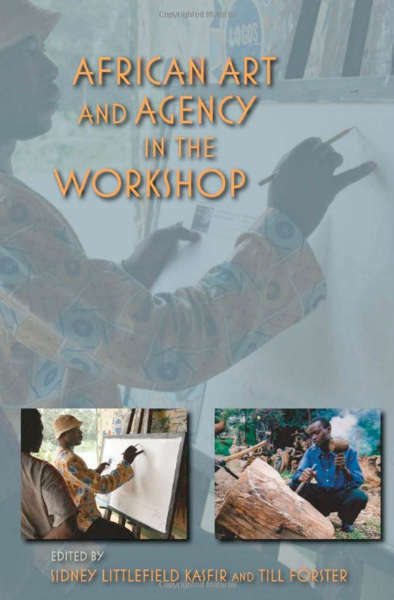 While in the last years the research of “master hands” and ateliers had been mainly confined to the market segment of the African Art world, I am happy to notice the academic world is catching up. The workshops under disscussion in this book range from the 19th century (King Lewanika’s at Victoria Falls) to the contemporary (Triangle workshops in Zambia and South Africa) and from the earliest modern (Grace Dieu Mission in South Africa) to reassessments of the famous and controversial (Ulli and Georgina Beier at Osogbo, Frank McEwen and Joram Mariga in Zimbabwe). They also include two instances of revolutionary patronage (Makonde cooperatives in Mozambique after FRELIMO’s victory and Kulibele (Senufo) sculpture in Korhogo after the 2002 Côte d’Ivoire rebellion which left them in rebel-territory). These are augmented by a stand-alone introduction examining both well-known European (Lucas Cranach the Elder, the Bauhaus) and African workshops and the intersubjectivity of their practice, the modes of imagination employed, as well as the social and economic aspects of production. 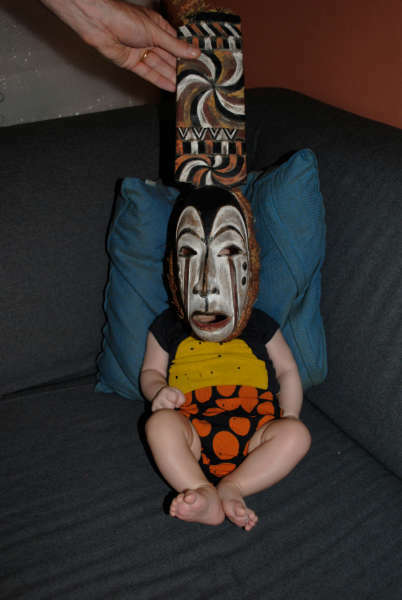 The collection ends with a reprint of an essay from a 1985 Iowa conference on ‘The Artist and the Workshop in Traditional Africa” followed by a Coda discussing the major changes that have taken place in workshops since that time due to politics, urbanization, changes in patterns of consumption, tourism, and large-scale economic changes. The table of contents does looks promising. 9. Lewanika’s Workshop and the Vision of Lozi Arts, Zambia \ Karen E.
This entry was posted in Publications on August 13, 2013 by admin.